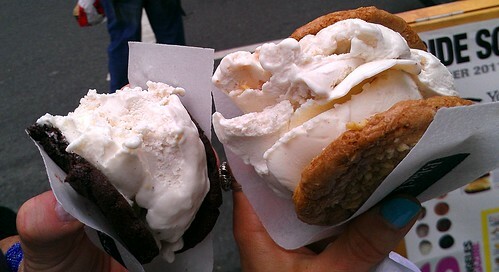 Did you know that yesterday was National Ice Cream Sandwich Day? That's very good timing, because I am always a little late (hence the day after business), and who wouldn't want to make this day last a little longer? And it just so happens that I was just thinking that I wanted to tell you about my delicious experience with this very treat from Coolhaus, a mobile ice cream truck which operates in a few different cities. Bauhaus, an influential modernist design movement of the 1920′s and 30′s. Rem Koolhaas, the famous Dutch Architect and Theorist who challenged the mantra "Form follows function"
 "Cool house," isn't that what you're eating – an ice cream sandwich deconstructed into a cookie roof and floor slab with ice cream walls? Natasha and Freya started baking cookies and making ice cream in Freya's mom's kitchen in the Fall of 2008. They named the flavor combinations after architects and architectural movements they were inspired by and started experimenting with recipes and testing them on friends. It seemed like a fun art project with "farchitecture" in mind ie food + architecture. One day it occurred to Freya and Natasha that an ice cream truck would be a perfect way to disseminate their ice cream sandwiches (and architecture dialogue) around the city of LA. The truck would be a nod to the past tradition of the Good Humor man selling ice cream novelties around neighborhoods, but with a modern twist – not to mention the long-withstanding popularity of taco trucks around LA and the rapidly growing infatuation with "gourmet" food trucks. The timing seemed perfect, now all Freya and Natasha needed was a truck! They found a postal truck on Craigslist and were able to afford it with money they had saved from their other jobs. They prepared the truck and their product for their launch at Coachella Valley Music Festival in April of 2009 where the product was very well received – and when they came back to LA, they had generated a strong buzz and following. 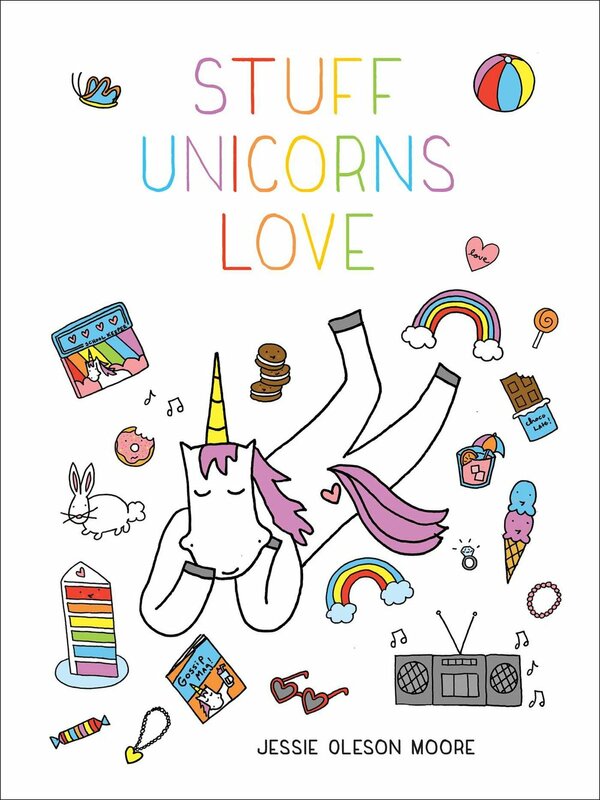 Today, they have a fleet of 4 trucks in LA, 2 trucks and 1 cart in NY, 2 trucks in Austin, 2 trucks in Miami, a newly launched storefront in Culver City, CA and even have their ice cream sandwiches at Southern California Whole Foods Markets. They hope to continue to expand to other cities nationally, and maybe even globally (doesn't hurt to dream, right?)! So when SpyMom and I walked by their truck in New York City, you must know that we pretty much HAD to stop for a sweet sandwich. You build your own sandwich by choosing your cookies and then choosing the ice cream with which to fill it. SpyMom chose the double chocolate cookies with bananas foster ice cream; I got the potato chip skor cookies with bananas foster ice cream. What can I say other than "Damn, that was a fine ice cream sandwich?". The salty-sweet cookies combined with the mellow-sweet banana ice cream with a caramelly taste finish was pretty much perfect. So perfect, in fact, that I may or may not have licked the napkin clean (they give you an edible wafer for a napkin - so it was totally normal for me to lick it). SpyMom said she thought my cookies tasted better, but she was still extremely pleased with her sweetwich as well. The sandwiches are kind of spendy - our total for two was over $10 when combined - but for the experience and the novelty of finding this cool business right on the street we were walking down, and for the deliciousness of the sweets we purchased, I'd day that it is certainly worth it for a special treat. You deserve it! 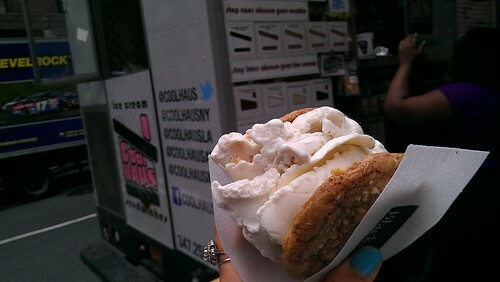 Find out more about Coolhaus, including where you can find them, on their website.